In celebration of the upcoming Thor Ragnarok film and accompanying LEGO sets we want you to produce a short brickfilm featuring Thor for a chance to win a LEGO Super Heroes prize pack consisting of four LEGO MARVEL Super Hero sets and exclusive San Diego Comic-Con LEGO Thor poster. The only requirement is that it features Thor in one form or another -- it could be custom, brick-built, older minifig, newer minifig or anything -- the rest is up to you, but I'd suggest not making it longer than a couple of minutes. To enter, upload your video to YouTube and tag it #BricksetThorCompetition by the 31st October. We'll be judging entries primarily on entertainment value but will also take originality and technical quality into account. The competition is being sponsored by LEGO, who are providing the prizes. Good luck! We, and the LEGO Super Heroes marketing team, look forward to seeing what you come up with! Do we know anything about the 4 sets? Like, are they this years sets? As a YouTuber I will probably do it Thorragnatok comes on my birthday ?? but where is my Thor? I might give this a try! I haven't done stop-motion in ages, but this seems like a fun project to do regardless of possibly winning a prize or not! Good luck to anybody who enters! Is there a time limit for the Brickfilm? Would enter but I don't have Thor so won't be entering! ^^ No, but short and sweet is better than long and boring! Oh, my friends, it is so on. One (slightly weird) question. I co-run a brickfilm project called the Marvel Brickfilm Universe, where we do Marvel animations in the same continuity (just like the MCU). Just want to double-check, would it be okay for my entry to be for the MBU too, or must it be its own, separate thing? Sorry if it's a weird question, but I just wanted to check, before doing so and discovering my entry's ineligible because of it. Here's a link to the MBU playlist, for reference. ^ That will be fine, I guess the only requirement is that it's a new film produced for this competition. What you do with it after and as well is up to you. ^ Awesome :) thanks for the reply, am really looking forward to entering! Things like this make me wish I was a brickfilmer. Will there be any runner-ups? Can I enter is a have a minifigure that looks a bit like Thor? I have a fake Lego Thor does that count? What are the four Marvel Superheroes sets that you get when you when? I will definitely enter! I’ll have to try and make it really good though! Would it be okay to make the video and have Thor included in it but not the star of it? Can we use copyrighted music? 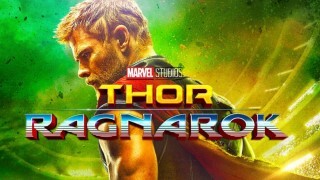 If not can we at least use music from the MCU such as movie scores or like the "Immigrant Song" used in the trailer for Thor Ragnarok? So can I use a fake none Lego Thor minifigure ? >Would it be okay to make the video and have Thor included in it but not the star of it? >Can we use copyrighted music? I don't know what the prizes are exactly. Worry about it if you win. Is there a way to see other people's submissions to this contest? Can't wait to get started on a lego Thor stop motion!!! Are we allowed to submit multiple entries?